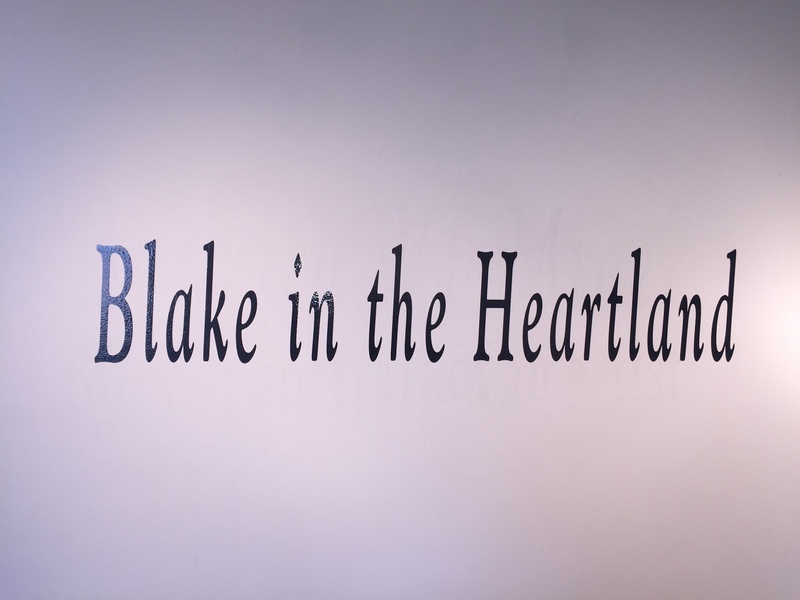 The online gallery for Blake in the Heartland is now available. I’m happy to report that the exhibit Blake in the Heartland successfully ran from March 19th to April 9th, 2015, and that Tiffin University hosted a number of events related to this exhibit that were open to the public. 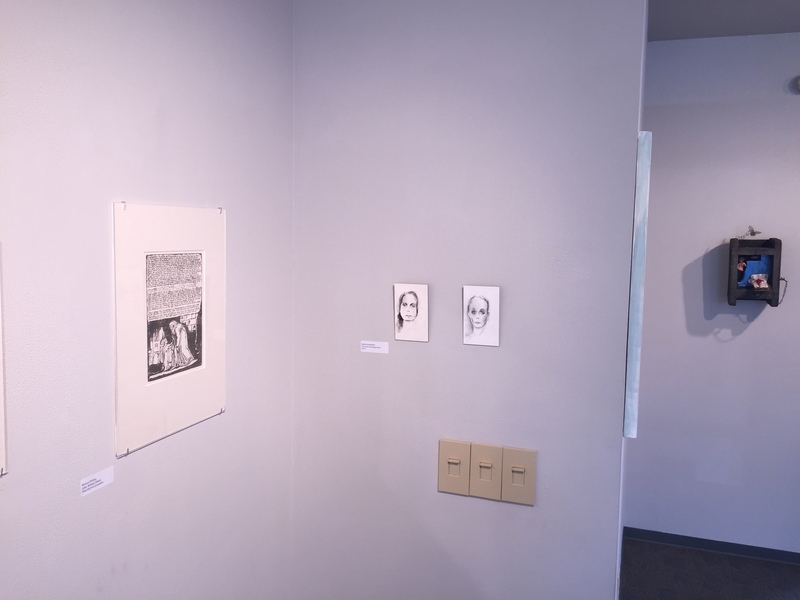 Organized by Lee Fearnside and James Rovira of Tiffin University, Blake in the Heartland was a celebration of the work of British poet and printmaker William Blake, who continues to inspire responses to his work in art, television, film, and music. This exhibit featured reproductions of Blake’s works by Blake scholar and curator Dr. Michael Phillips, who has curated major Blake exhibits at the Ashmolean at Oxford, the Metropolitan Museum of Art in New York, the Tate in London, the College of Holy Cross, and the Petite Palais in Paris. 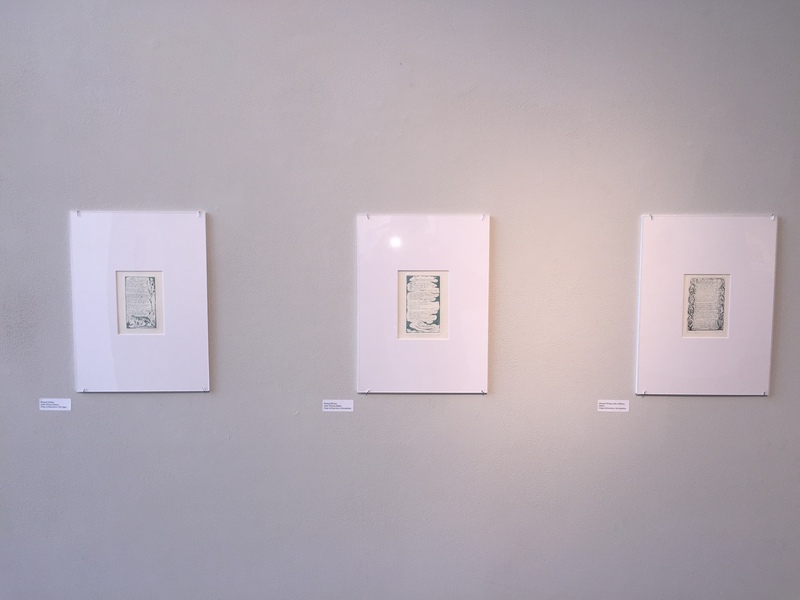 He has also lectured and given printmaking demonstrations at numerous colleges and universities in the United States and abroad. 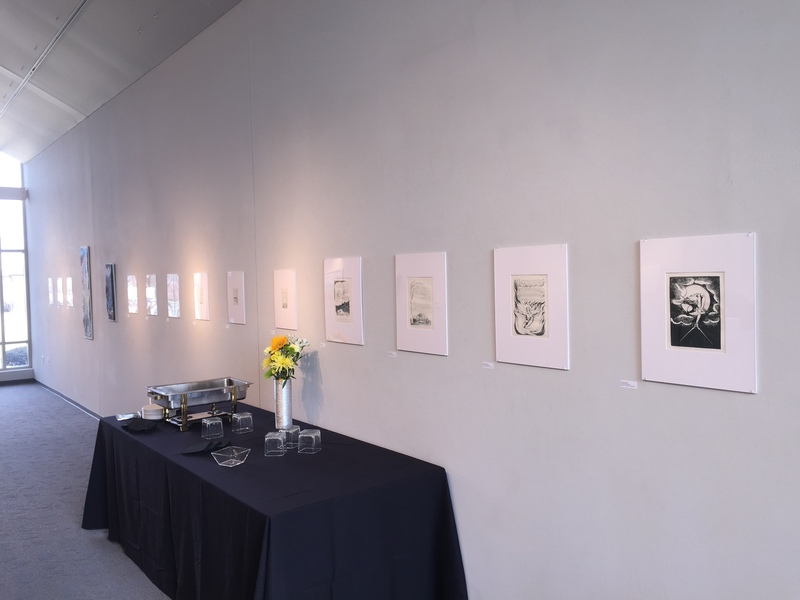 Dr. Phillips lectured here on his curating experiences as well as on Blake’s printmaking methods. 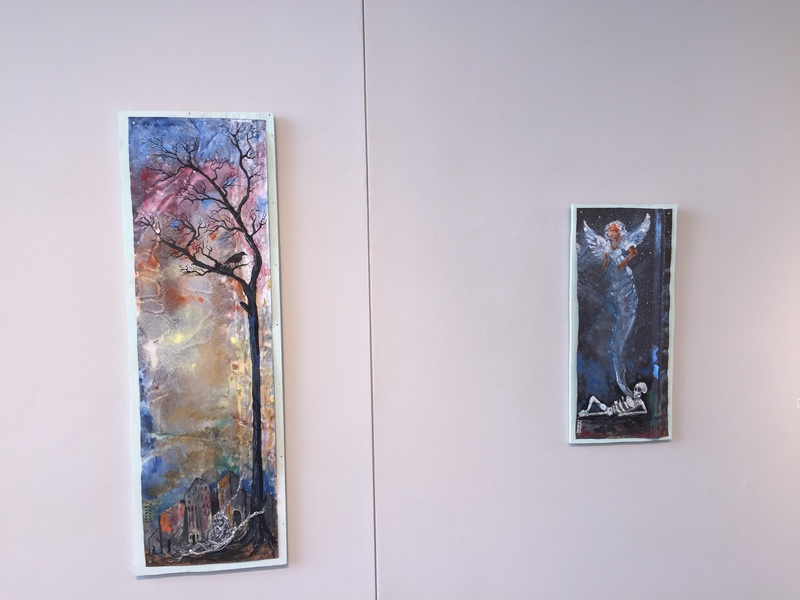 The exhibit also included creative responses to the work of Blake by regional artists Robert McFate (Ohio) and Emily Brandehoff (KY), who originally developed these works for the exhibit INNCE/EXPCE. 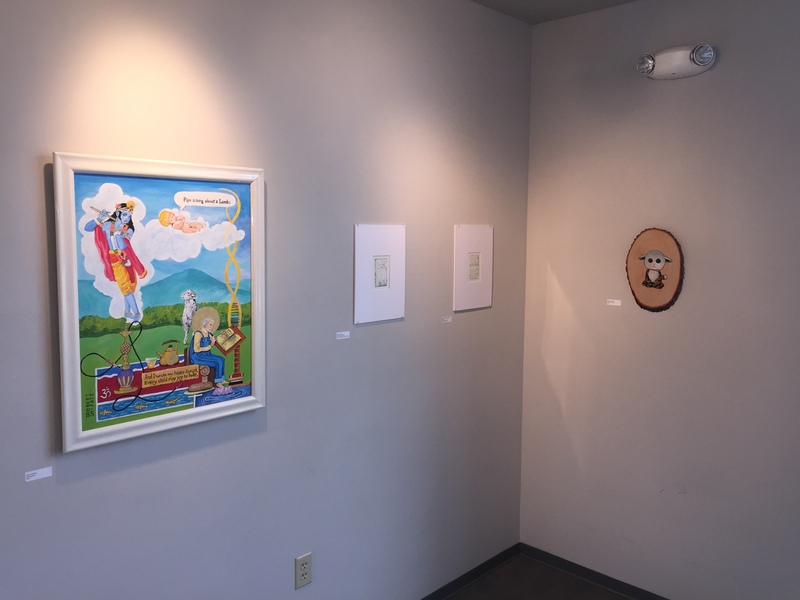 Curated by Keith Banner, this exhibit ran from June 28th to August 10th, 2013 at Thunder-Sky Gallery, Inc., in Cincinnati, OH. Opening wine reception in the DIane Kidd Gallery. 9:30 a.m. – Lecture by Dr. Michael Phillips on his curating experiences. 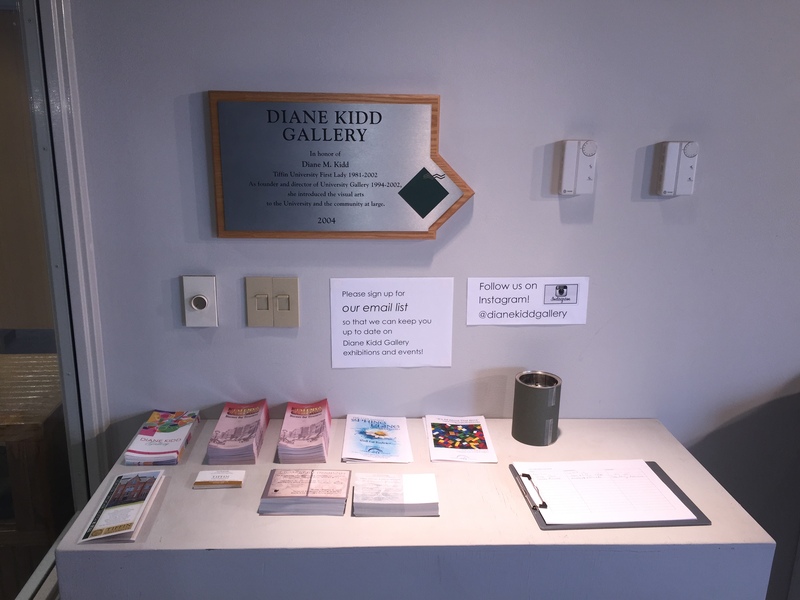 Lecture presented in the Diane Kidd Gallery (coffee and light refreshments served). 1:00 p.m. – Printmaking demonstration for Tiffin University students in Hayes Center Room 111. 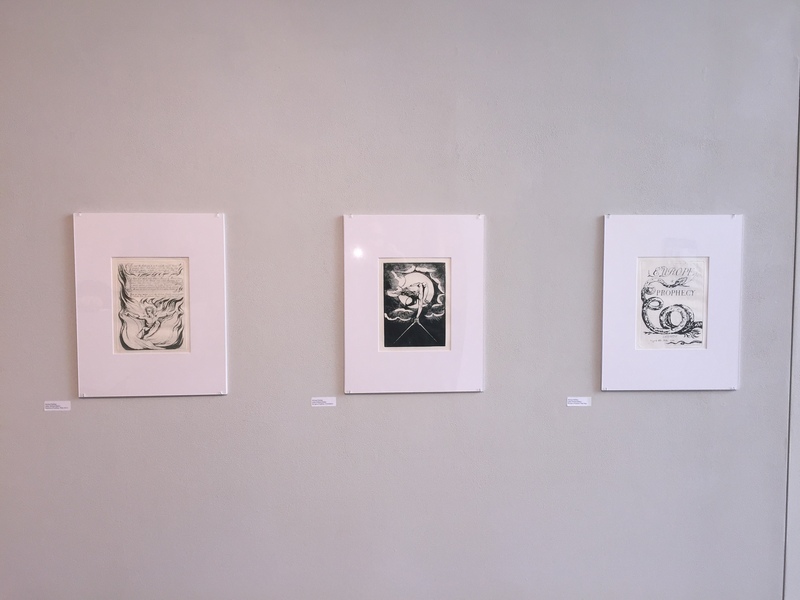 6:30 p.m. – Lecture by Dr. Michael Phillips, “Printing in the Infernal Method: William Blake’s Method of Illuminated Printmaking” in Chisholm Auditorium (Frank’s Hall). 9:30 a.m. – Demonstration of Blake’s printmaking techniques in Hayes Center Room 111 for area high school students. 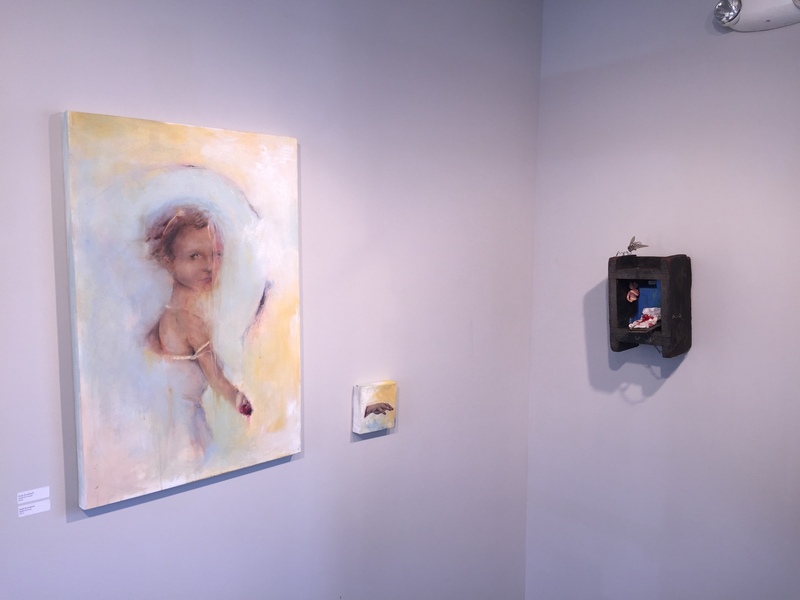 5:30 p.m. – Closing reception with artists’ talks in the Diane Kidd Gallery. William Blake (1757-1827) was an English poet, printmaker, and painter whose work engages such topics as the American Revolutionary War, the French Revolution, slavery, psychology, mythology, politics, and religion. 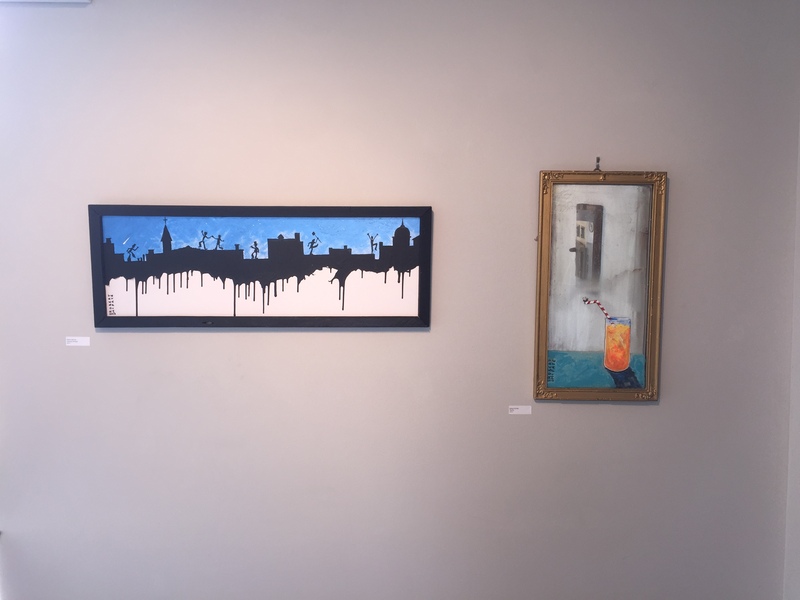 Blake continues to inspire artists in a variety of media. Lines of Blake’s poems or his visual works unexpectedly appear in films such as Mean Streets, Bladerunner, The Dangerous Lives of Altar Boys, Dead Man, and Red Dragon. He has been particularly influential in music since the 1960s, inspiring the name for the band The Doors as well as several musical adaptations of his poems. More recently, Martha Redbone’s 2012 album The Garden of Love sets twelve of Blake’s songs to blues and folk music. 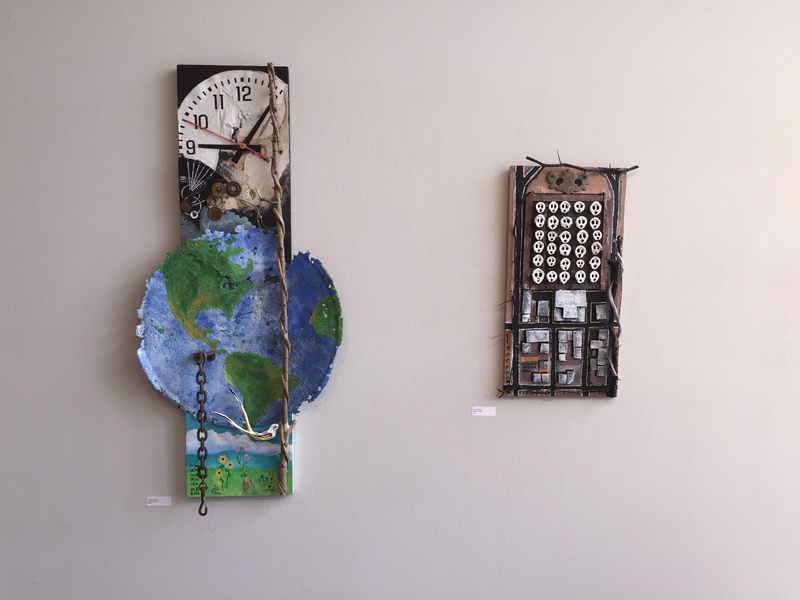 Dr. James Rovira and Prof. Lee Fearnside would like to thank the Ohio Arts Council for the grant that helped make this exhibit and related events possible, and Columbian High School of Tiffin, OH for their letter of support, which helped us acquire the grant. We would also like to thank Tiffin University’s Alumni Association, the School of Arts and Sciences, and the School of Graduate and Distance Education for their support. If you are interested in having Michael Phillips visit your institution, or would like more information about a possible visit, please email James Rovira at jamesrovira@gmail.com. Michael Phillips’s biography for the Special Collections library at Emmanuel College. Dr. Michael Phillips demonstrating Blake’s printmaking methods for the British Library. Michael Phillips’s exhibit at the Ashmolean Library at Oxford University. 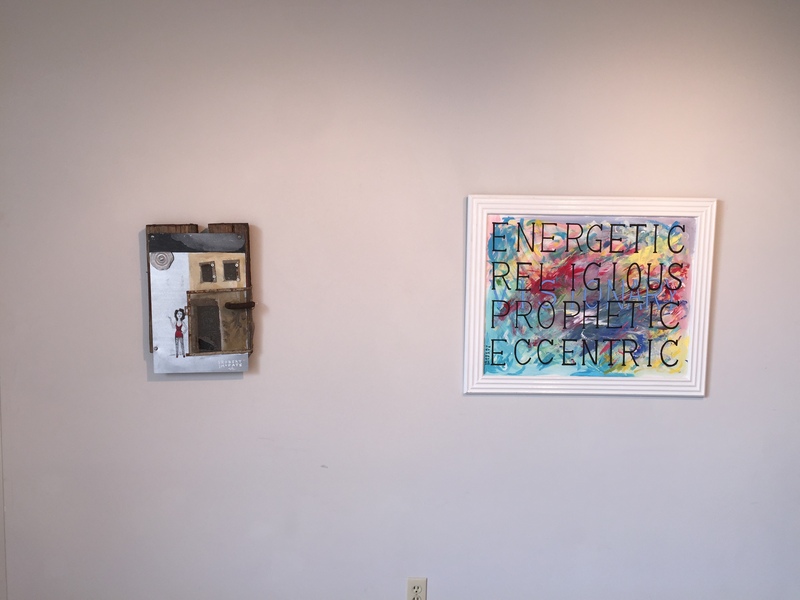 A review of Michael Phillips’s presentations at the College of Holy Cross in Worcester, MA by Dr. Virginia Ragunin for New York Arts magazine. 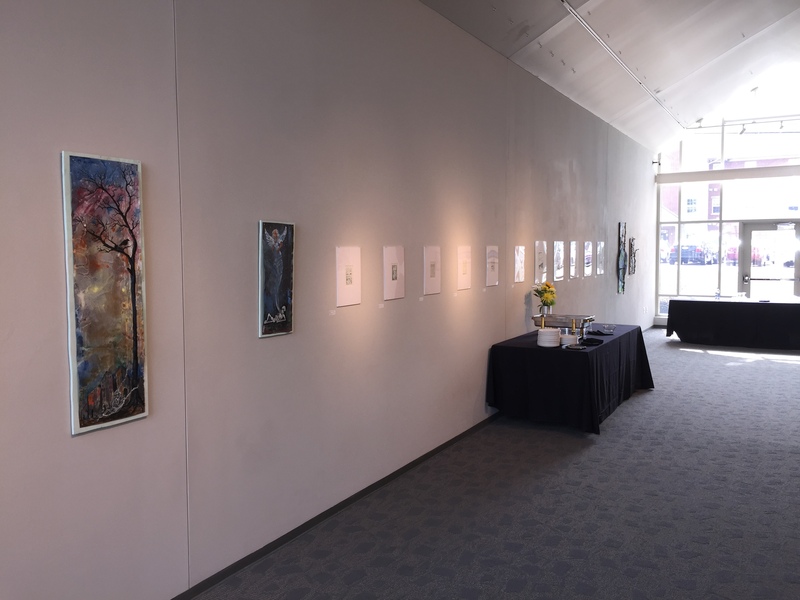 This exhibit was similar to that hosted by Tiffin University in March-April 2015. An article about Michael Phillips’s major exhibit at the Tate Museum in London in History Today. I’m a Blake fan – it is a pity that the photos online are too small to see. Great to hear from a fellow Blake fan, and thanks very much for reading. 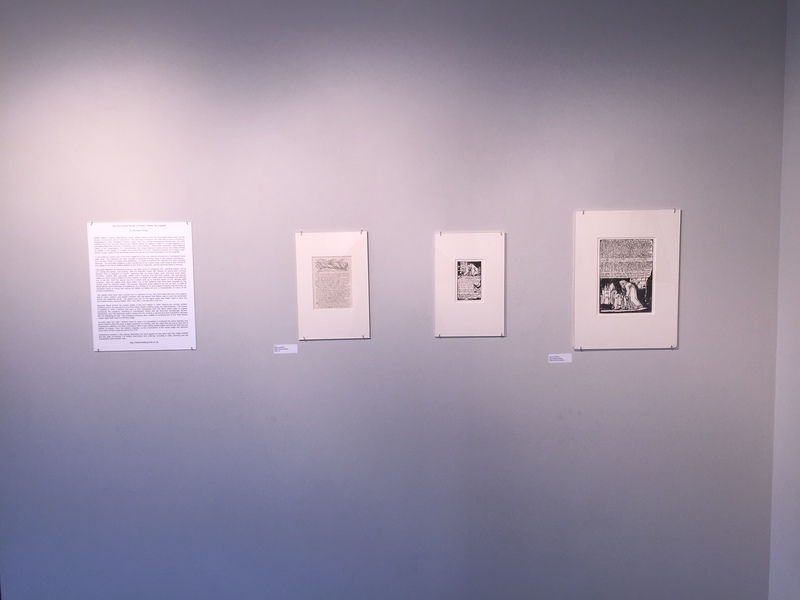 If you click on any image in the Blake exhibit webpage you should get enlarged or full-sized versions — think of them as large thumbnails that are intended to get you to click rather than to provide a readable image. I wanted them to be big enough so that people could see what they are, but not so big that they made the page appear awkward on normal sized screens. Full sized images would take up your entire screen, I think. Ah, thanks. I’ve a Blake pastiche published somewhere. I cd find it if you are interested? Yes, absolutely — send it on. I’d love to see it. Thank you. Thank you — that was enjoyable, Eric.